Essential mineral manganese is found in mussels, nuts, seeds, legumes, and beans. It is also abundant in fresh produce like pineapples, leafy greens, sweet potatoes, berries, and bananas. 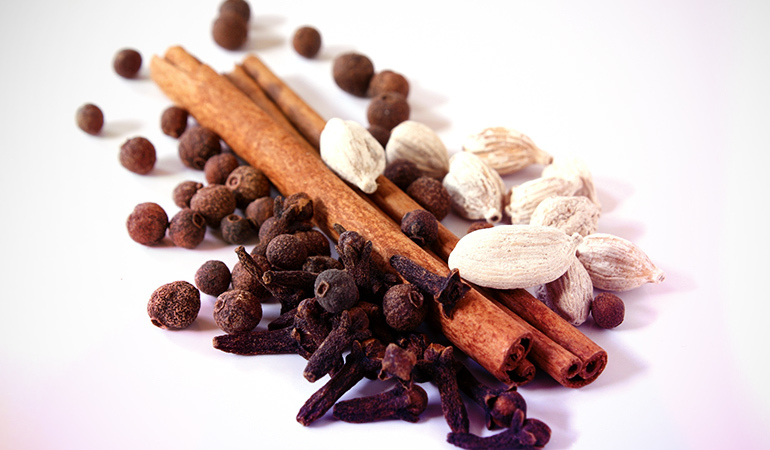 And its presence in ground clove, cinnamon, cardamom, turmeric, and ginger will have you raiding that spice cupboard too! Are you hunting down foods that are rich in manganese? It may not be the first nutrient on most people’s minds, yet manganese has a vital role to play in your metabolism, bone health, and more. And luckily for you, the sources of the mineral are easily available at any neighborhood grocery store or farmer’s market! The daily value (DV) for manganese is pegged at around 2.3 mg per day. Which means you need to be looking at foods with at least 0.46 mg or more of manganese, translating to a %DV of 20 or more if you are targeting manganese-rich foods.4 Here’s a look at foods that make the cut. A 3 oz serving of mussels: 5.780 mg of manganese (251% DV). 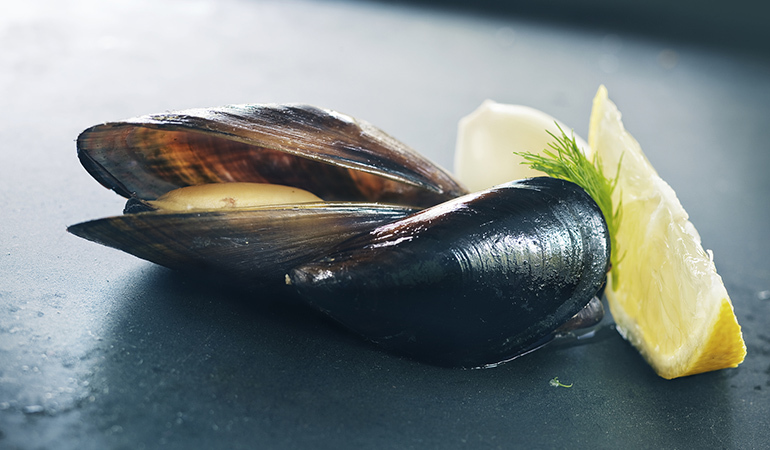 If you enjoy seafood, you’ll be happy to hear that a 3 oz serving of mussels, cooked in moist heat, has 5.780 mg of the nutrient, which amounts to around 251% DV of manganese.5 Mussels taste amazing in seafood stew, a Spanish-style seafood paella, a corn and seafood chowder, or a beautiful one-pot dish with herbs and flavors you love. 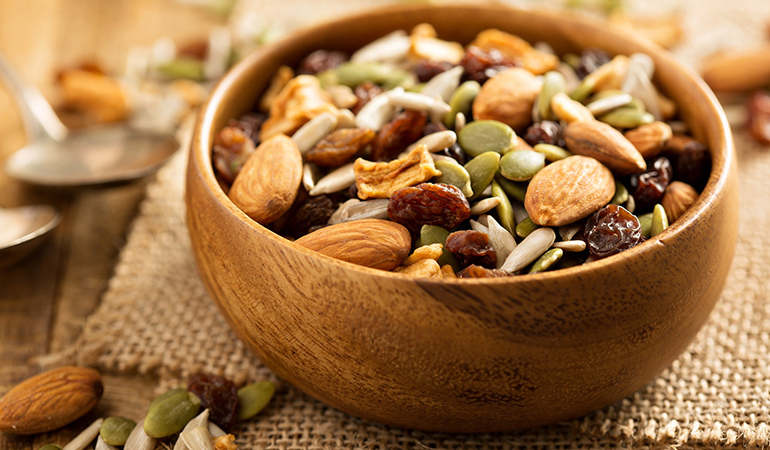 Nuts are a great way to get manganese, not to mention the other nutrients like calcium and B vitamins they pack in. Here’s a list of some of the nuts that are richest in manganese. You could use them in your salads, make homemade nut butters to spread on bread, or add them to your baking in cookies, cakes, and breads. You may even enjoy the crunch they bring to a bowl of porridge. Beans, legumes, and lentils make a hearty meal whether they’re used in stews with or without meat, in filling soups, or even in zesty tacos with a dollop of guacamole and pico de gallo. Middle Eastern falafel and Indian curries made with chickpeas are a way to kick up the spice a notch! You could even make a French-style lentil salad, perhaps with some nuts and goat’s cheese added in. 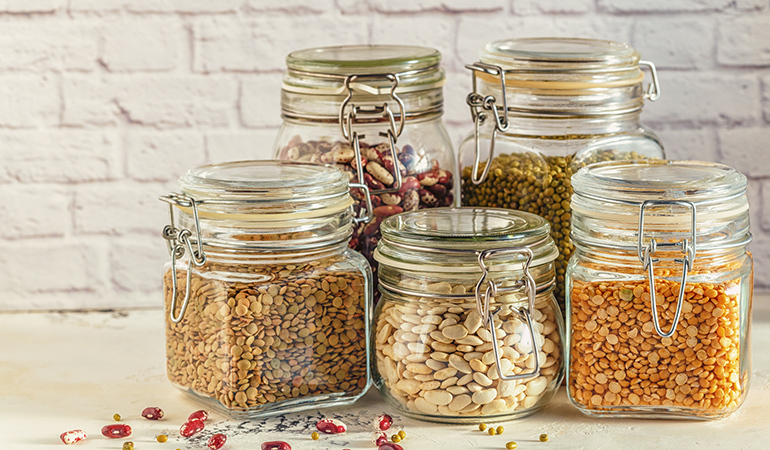 The variety of legumes and beans is mind-boggling, so pick a few favorites and use them in rotation for your manganese intake. Seeds aren’t just for the birds! 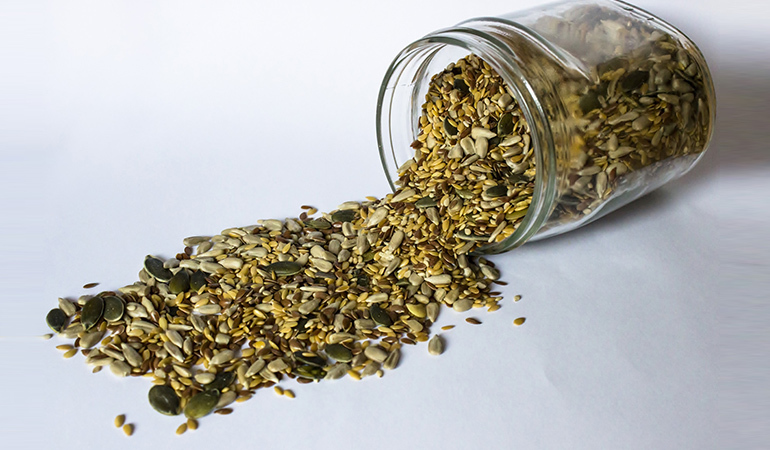 Sesame seeds that find their way into tahini and spreads or roasted and spiced pumpkin or sunflower seeds make a great addition to the diet if you are trying to up that manganese consumption. You could also scatter them over cereal, oatmeal, yogurt, or even granola. 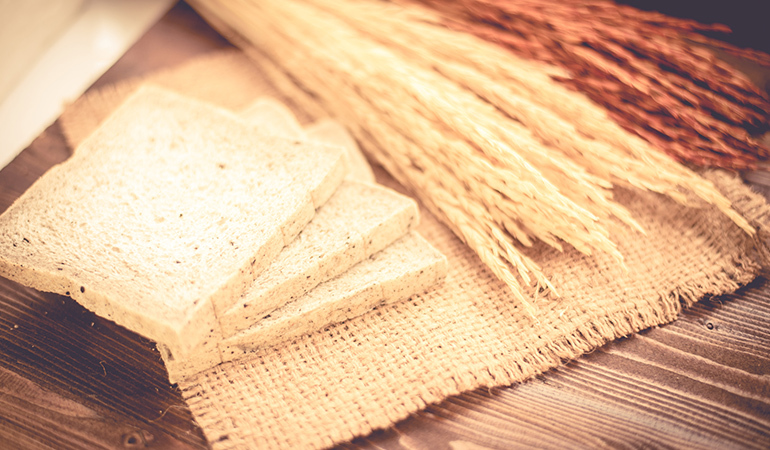 Switching to whole grains is a smart choice for your heart and gut health, and you can also up your manganese game in the bargain. Even a single slice of whole wheat bread can give you a good amount of manganese. Trade in white rice or pasta at mealtimes for pearled barley or use rye flour for your bread and you’ll see the manganese numbers adding up. If that isn’t something you see yourself doing, simply sprinkle some wheat germ into your morning bowl of cereal or have just the wheat germ on its own with milk or yogurt. A cup of pineapple chunks contains 1.53 mg of manganese or 66.5% DV.23 So go ahead and dice up some to use in a salsa to go with your mains, or grill some off to dunk in dark chocolate for dessert. 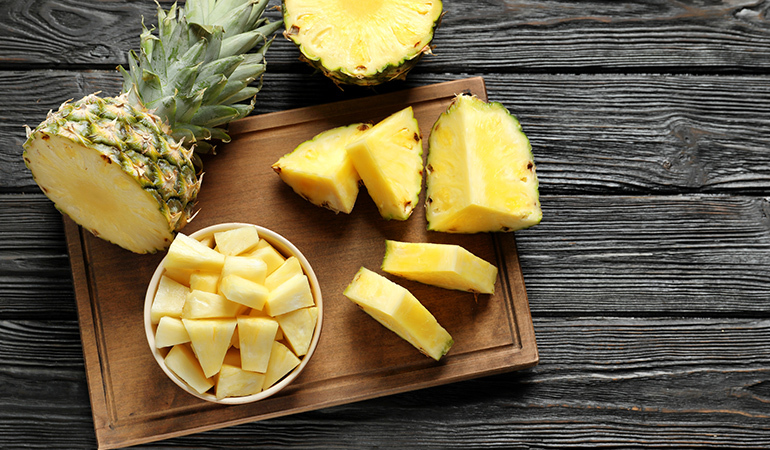 Of course, pineapple can be just as delicious treated simply – eaten on its own or whizzed into a juice. 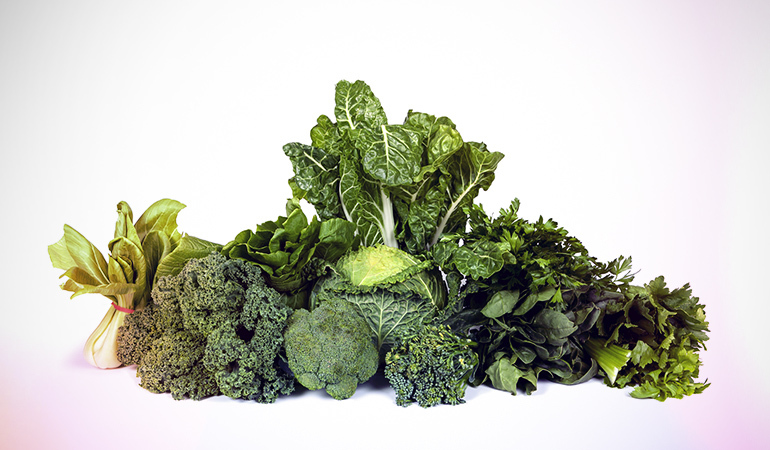 Leafy green vegetables in general are a good source of manganese. Of course, some are much richer in the nutrient than others. Spinach, for instance, has an impressive 73% DV of manganese. Beet greens and kale clock in at a not too shabby 32% DV and 28% DV. Depending on which green you are using, you might want to cook it up with pasta, make a more-ish green soup with it, or rustle up a bright fresh salad of mixed greens with perhaps some orange or lemon dressing or cheese to cut through the leafy flavor. If soybeans and tofu are on the menu, you’ll get in plenty of manganese too! 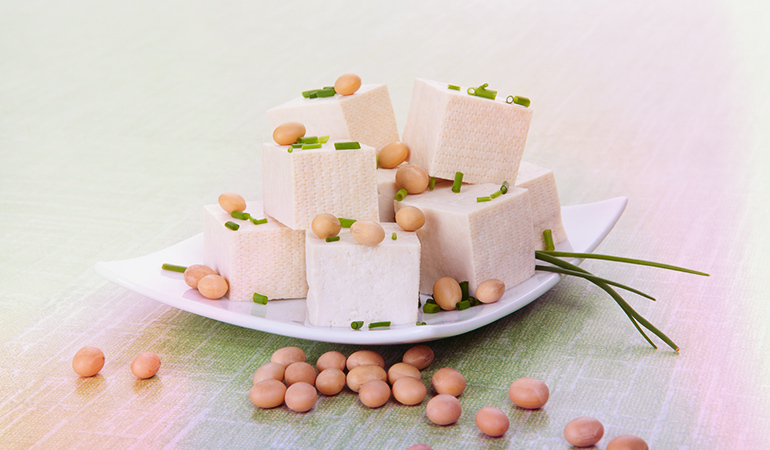 An abundant source of the nutrient, firm tofu can not only be used in Asian stir-fries and curries, but also in Mexican style meals where you trade in the meat or chicken for some tofu. You could also whip up a special midweek meal with minimal effort when you make pan-seared, sesame-crusted tofu. A great dipping sauce and you are good to go! For a special weekend brunch, a tofu scramble with some herbs and veggies added in is delicious yet simple. Soybeans work nicely in curries, in rice with vegetables, with quinoa, and even in salads after they’ve been gently boiled. A cup of sweet potato flesh from a spud that’s been baked in its skin has 0.994 mg of manganese or 43.2% DV.29 So bring on that sweet potato mash as a side with meals or fashion them into crunchy croquettes. If you are looking for something as a main meal, use your sweet potatoes in a chickpea and sweet potato curry or a wholesome sweet potato soup. You can even use them in waffles and pies! 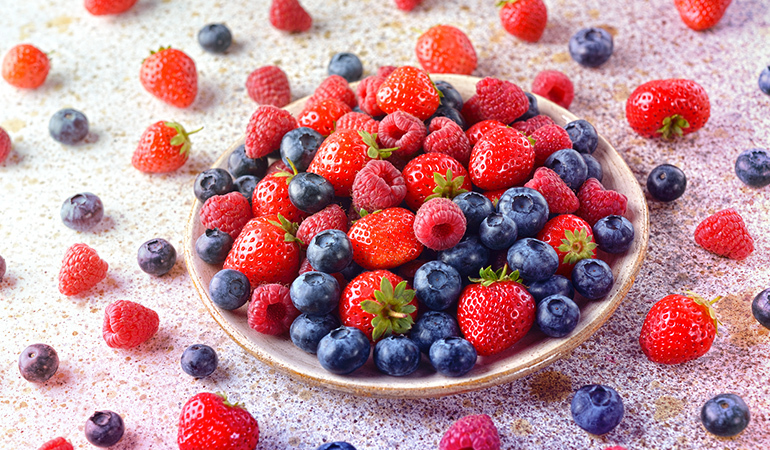 Berries are nature’s on-the-go snack, so you don’t really need to do much with these colorful pops of flavor before you eat them. Munch on them between meals or use them in your salads or yogurt to make a regular meal feel special. Berries also pair well with game meats and in sweet and tart sauces and glazes, so feel free to experiment with them! You could even pickle some or turn them into jams or jellies for use in months when they aren’t in season. 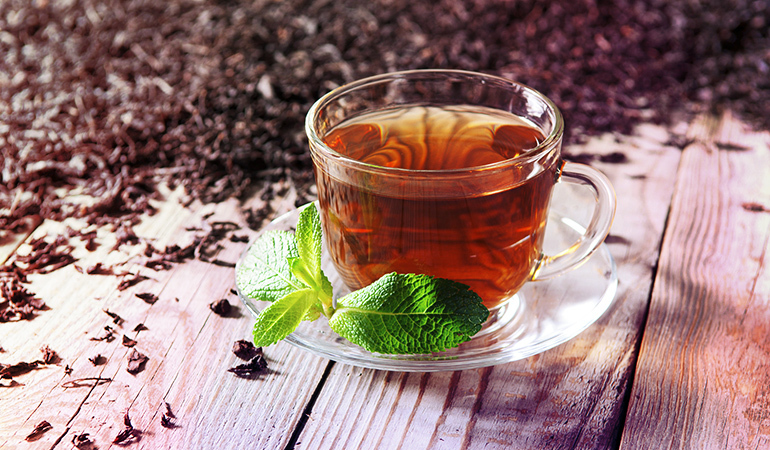 If tea is your beverage of choice, you have an easy way to get your manganese. Whether your favorite brew is instant tea or home-brewed green or black tea, you stand to get anywhere from 20% to nearly 41% DV of the nutrient from a single cup. Your spice cupboard can be a goldmine when it comes to nutrients! And it is no different with manganese. Sprinkle just a spoonful of these ground spices into your cooking to elevate a recipe and add some heat or a new dimension of flavor. Some spices like cinnamon taste delicious sprinkled over coffee, while spiced tea made with cardamom and ginger may be just the surprise your palate needs on a tough day at work. And if you decide to make curries or Middle Eastern, Indian, or African food, you’ll have plenty of use for all these and more! So there it is. A list of foods that are a great way to get your manganese – and in significant amounts too! With these in your diet, you shouldn’t find yourself falling short of manganese intake anymore. 1, 2, 3. ↑ Dietary Reference Intakes for Vitamin A, Vitamin K, Arsenic, Boron, Chromium, Copper, Iodine, Iron, Manganese, Molybdenum, Nickel, Silicon, Vanadium, and Zinc. National Academy of Sciences. 4. ↑ Labeling Daily Values. National Institute Of Health. 5. ↑ Mollusks, mussel, blue, cooked, moist heat. United States Department of Agriculture, Agricultural Research Service. 6. ↑ Nuts, hazelnuts or filberts, blanched. United States Department of Agriculture, Agricultural Research Service. 7. ↑ Nuts, hazelnuts or filberts, dry roasted, without salt added. United States Department of Agriculture, Agricultural Research Service. 8. ↑ Nuts, pine nuts, dried. United States Department of Agriculture, Agricultural Research Service. 9. ↑ Nuts, pecans. United States Department of Agriculture, Agricultural Research Service. 10. ↑ Lima beans, immature seeds, cooked, boiled, drained, without salt. United States Department of Agriculture, Agricultural Research Service. 11. ↑ Chickpeas (garbanzo beans, bengal gram), mature seeds, cooked, boiled, without salt. United States Department of Agriculture, Agricultural Research Service. 12. ↑ Beans, adzuki, mature seeds, cooked, boiled, without salt. United States Department of Agriculture, Agricultural Research Service. 13. ↑ Lentils, mature seeds, cooked, boiled, without salt. United States Department of Agriculture, Agricultural Research Service. 14. ↑ Seeds, pumpkin and squash seed kernels, dried. United States Department of Agriculture, Agricultural Research Service. 15. ↑ Seeds, sesame seeds, whole, roasted and toasted. United States Department of Agriculture, Agricultural Research Service. 16. ↑ Seeds, sunflower seed kernels, toasted, without salt. United States Department of Agriculture, Agricultural Research Service. 17. ↑ Bread, whole-wheat, commercially prepared, toasted. United States Department of Agriculture, Agricultural Research Service. 18. ↑ Rye flour, dark. United States Department of Agriculture, Agricultural Research Service. 19. ↑ Oats. United States Department of Agriculture, Agricultural Research Service. 20. ↑ Cereals ready-to-eat, wheat germ, toasted, plain. United States Department of Agriculture, Agricultural Research Service. 21. ↑ Rice, brown, medium-grain, cooked. United States Department of Agriculture, Agricultural Research Service. 22. ↑ Barley, pearled, cooked. United States Department of Agriculture, Agricultural Research Service. 23. ↑ Pineapple, raw, all varieties. United States Department of Agriculture, Agricultural Research Service. 24. ↑ Spinach, cooked, boiled, drained, without salt. United States Department of Agriculture, Agricultural Research Service. 25. ↑ Beet greens, cooked, boiled, drained, without salt. United States Department of Agriculture, Agricultural Research Service. 26. ↑ Kale, cooked, boiled, drained, without salt. United States Department of Agriculture, Agricultural Research Service. 27. ↑ Tofu, raw, firm, prepared with calcium sulfate. United States Department of Agriculture, Agricultural Research Service. 28. ↑ Soybeans, mature cooked, boiled, without salt. United States Department of Agriculture, Agricultural Research Service. 29. 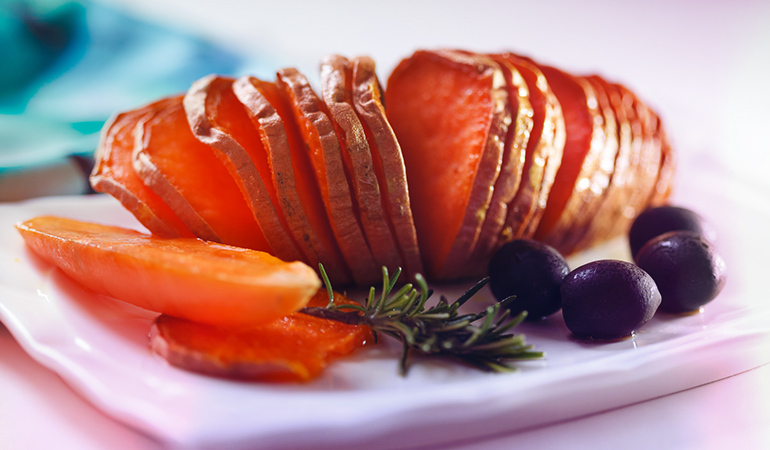 ↑ Sweet potato, cooked, baked in skin, flesh, without salt. United States Department of Agriculture, Agricultural Research Service. 30. ↑ Blueberries, wild, frozen. United States Department of Agriculture, Agricultural Research Service. 31. ↑ Raspberries, raw. United States Department of Agriculture, Agricultural Research Service. 32. ↑ Strawberries, raw. United States Department of Agriculture, Agricultural Research Service. 33. ↑ Beverages, tea, instant, unsweetened, powder. United States Department of Agriculture, Agricultural Research Service. 34. ↑ Beverages, tea, black, brewed, prepared with tap water. United States Department of Agriculture, Agricultural Research Service. 35. ↑ Beverages, tea, green, brewed, regular. United States Department of Agriculture, Agricultural Research Service. 36. 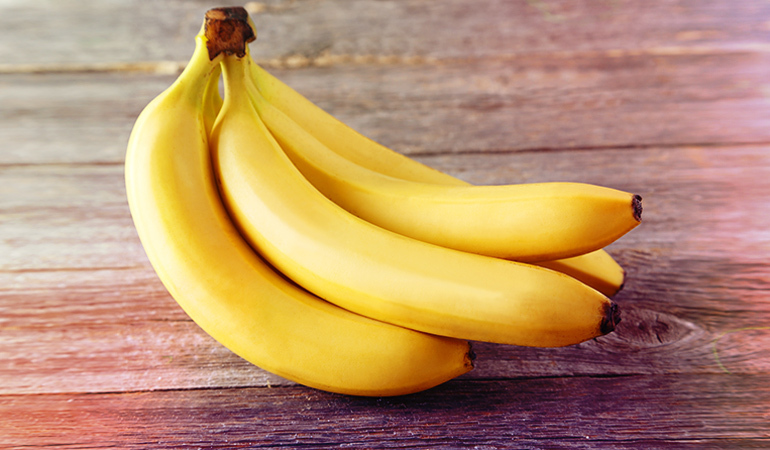 ↑ Bananas, raw. United States Department of Agriculture, Agricultural Research Service. 37. ↑ Spices, cloves, ground. United States Department of Agriculture, Agricultural Research Service. 38. ↑ Spices, ginger, ground . United States Department of Agriculture, Agricultural Research Service. 39. ↑ Spices, turmeric, ground. United States Department of Agriculture, Agricultural Research Service. 40. ↑ Spices, cardamom. United States Department of Agriculture, Agricultural Research Service. 41. ↑ Spices, cinnamon, ground. United States Department of Agriculture, Agricultural Research Service.